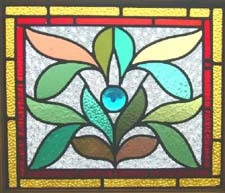 The basic methods of making stained glass for Victorian Windows was little different from that used as far back as the twelfth century. Glass was made by melting sand, potash and lime together in clay pots. This provided sheets of glass with a thin surface layer of color. Later, parts of this layer could be removed by grinding with an abrasive wheel; this produced two colors, red and white, on the same piece of glass. 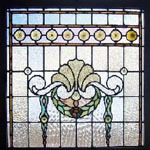 For more information on stained glass Victorian Window manufacture and design click here.